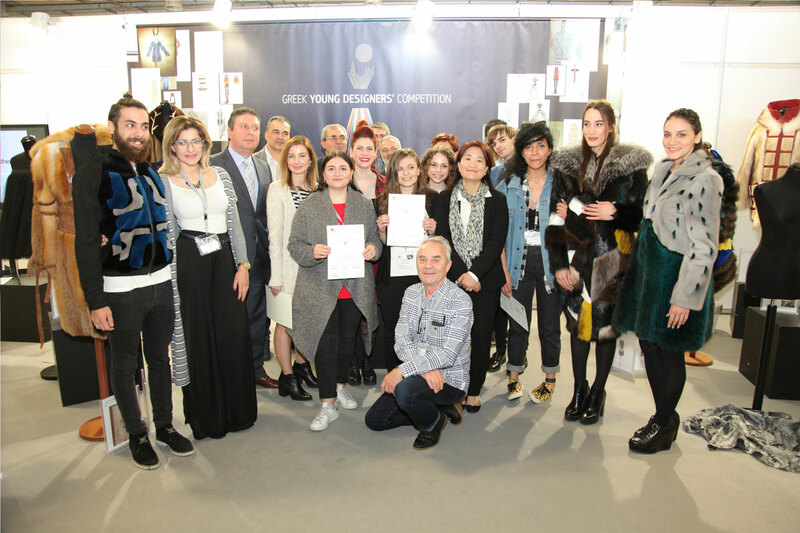 NAFA announced the winners of the Greek Young Designers’ Competition at FEA 2016 under strong emotions! 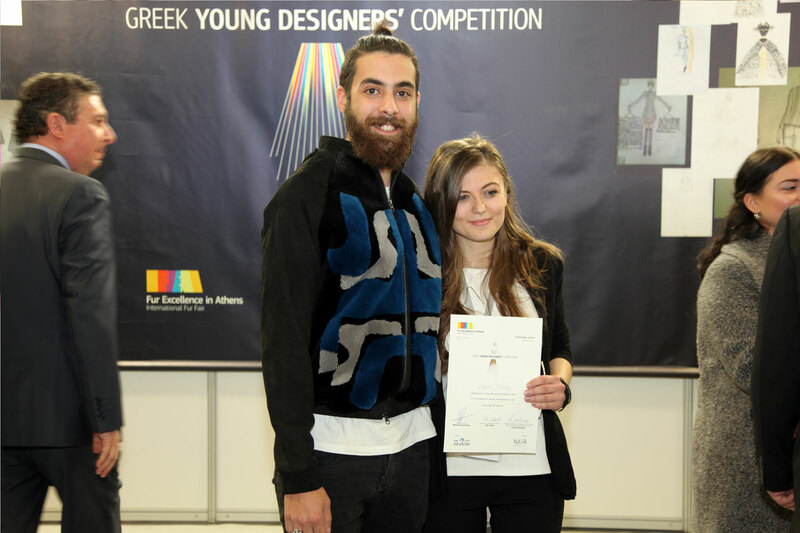 Posted on April 8, 2016 Comments Off on NAFA announced the winners of the Greek Young Designers’ Competition at FEA 2016 under strong emotions! 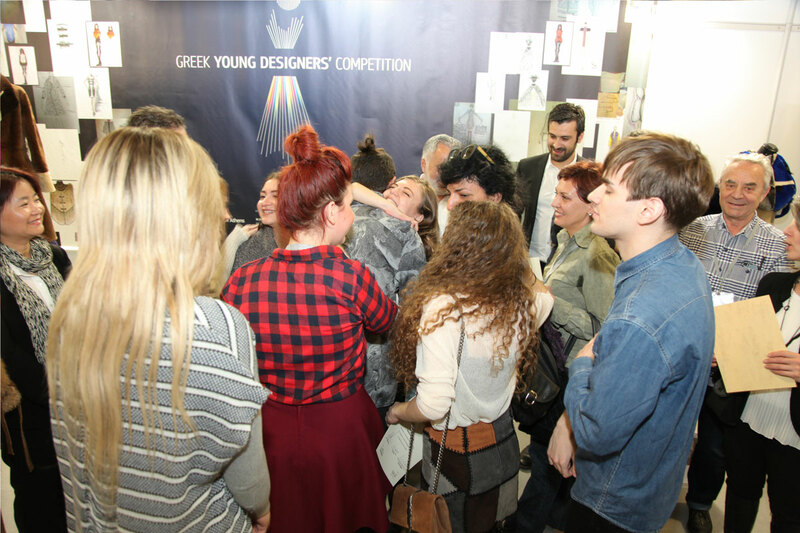 The final phase of Greek Young Designers’ Competition was concluded the second day of FEA 2016 in an atmosphere filled with the enthusiasm and anticipation of the candidates. 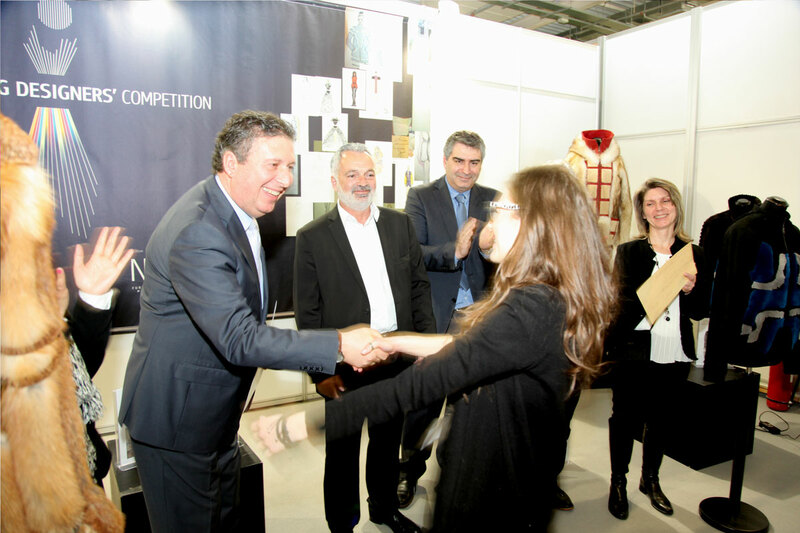 All previous activities organized by Hellenic Association of Furriers and NAFA (workshops, presentations, info seminar), contributed in to bringing them closer and becoming friends. When the results were announced joy and pride went high among all participants. 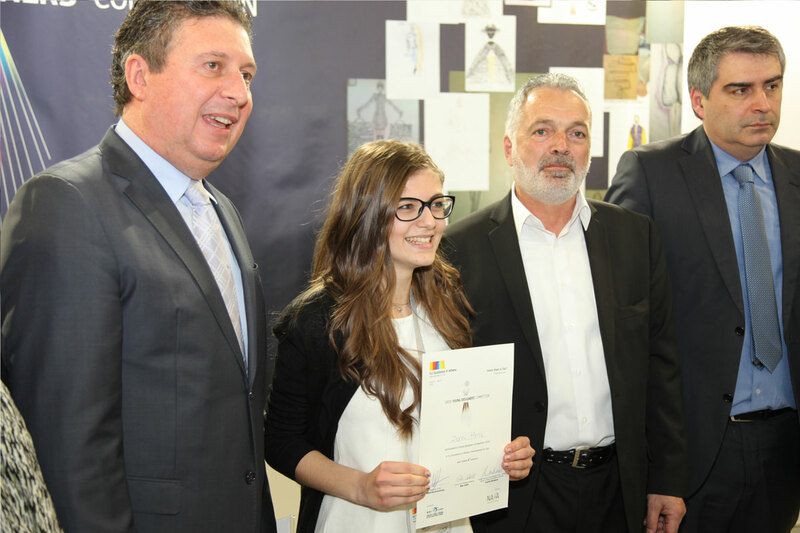 The First Prize was won by Maria Zepou, from PANSIK – Scuola di Moda – Art & Design, Athens, who was inspired by the artist Yiannis Moralis. 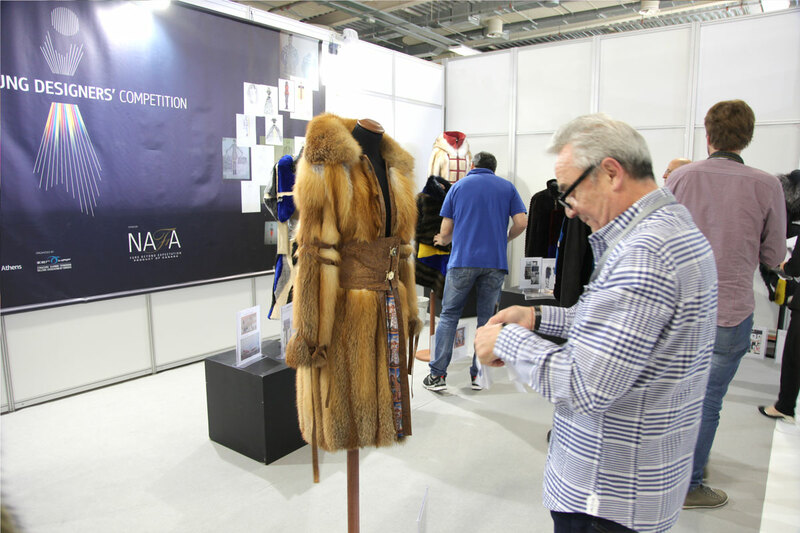 The winning garment was manufactured by Divine Luxury Furs, using NAFA’s sheared Beaver fur skins dyed in black, blue and gray colors. 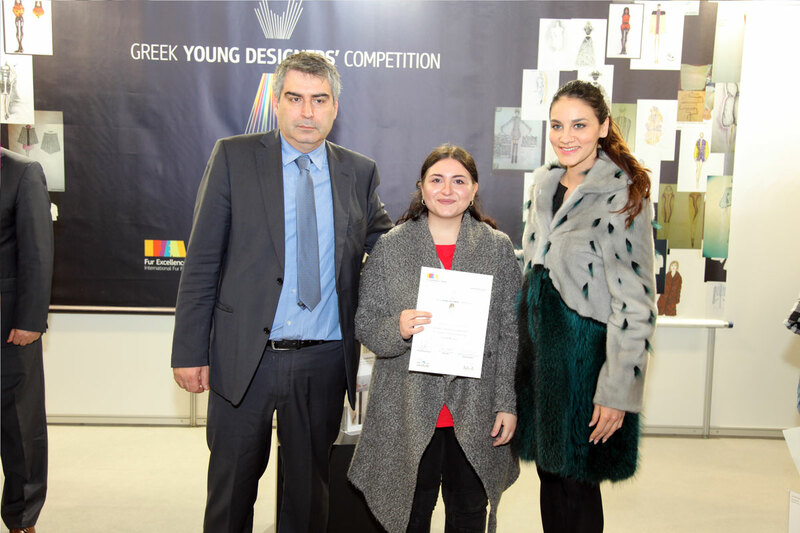 The Second Prize was won by Eyagelia-Vasiliki Tranouli, from the Institute of Vocational Training ‘AKMI’, Athens, who was also inspired by the artist Yiannis Moralis. This winning garment was manufactured by Art in Fur, using NAFA’s long hair Raccoon (dyed in various colors), white Mink, long hair Beaver (back, sleeves), and silver Fox (colar). 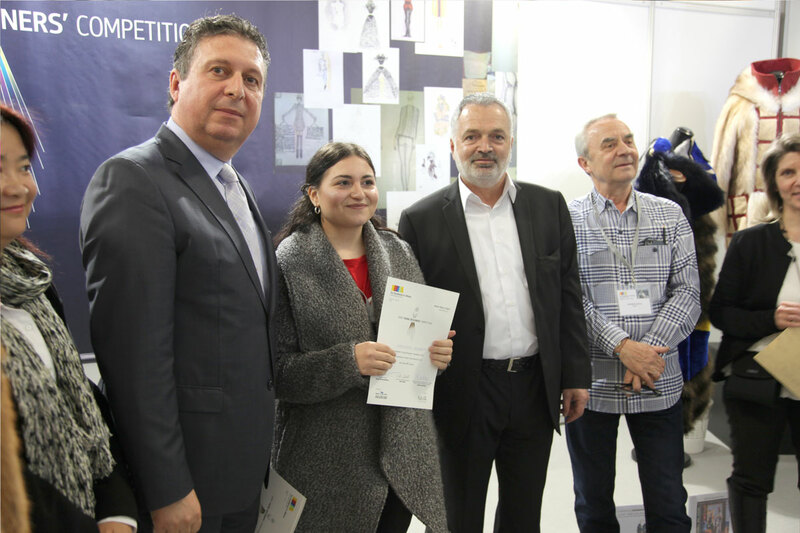 The Third Prize was won by Stavroula Katavelou, from the AKTO College of Athens, who was inspired by the artist Panagiotis Tetsis. 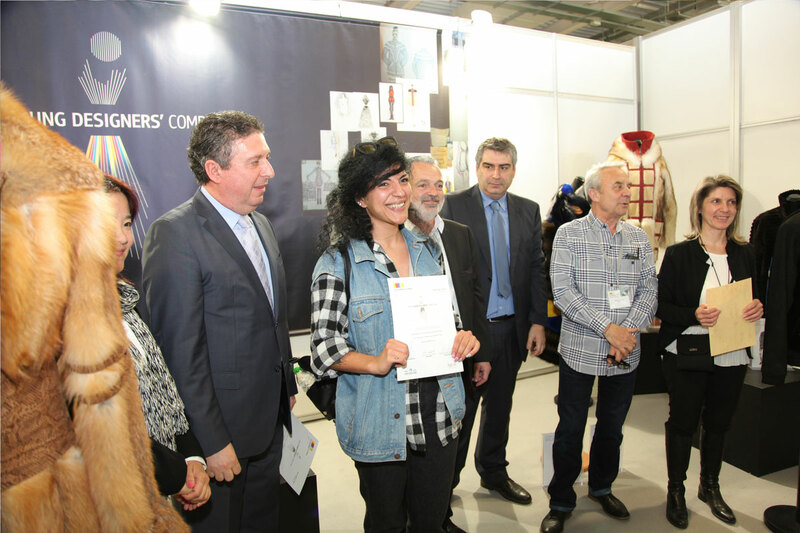 The winning garment was manufactured by Greek-Siatistian Furs, using NAFA’s sapphire Mink fur skins, and green dyed Raccoon. 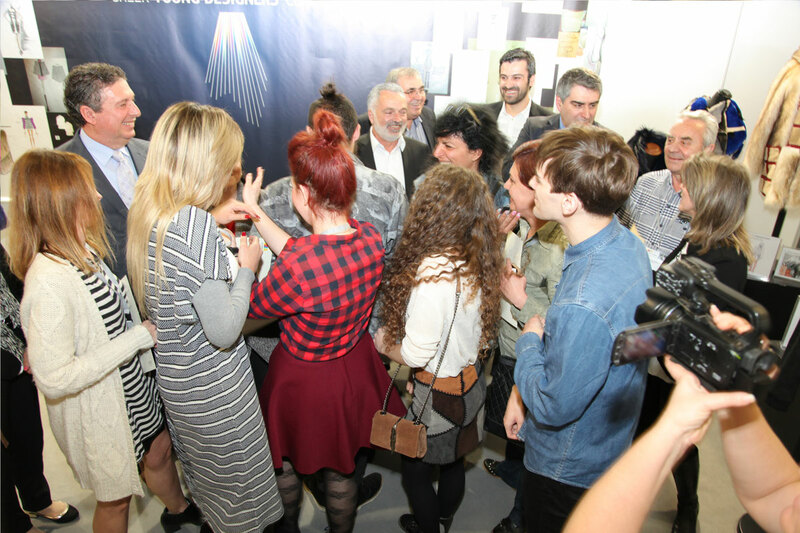 All three winners declared excited about the winning prize the one week fur seminar and trip to NAFA Studio in Toronto, Canada, that will bring them new insights to the material of fur and the fur industry as a whole.